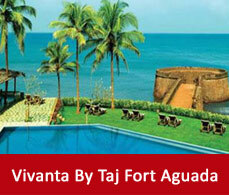 Goa is one of the famous tourist destination and tourists want to visit there quite often. 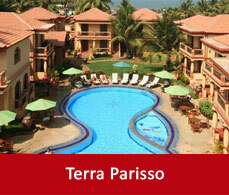 So, it is better to know the favourable time for the tourists before they visit there to explore Goa immensely. This is the most hot and humid time in Goa. The Goa temperature starts rising at that time.The burning sun makes the sandy beaches hotter and the sea becomes rougher. At this time of the year you will not be able to experience any kind of sports or beach activities. 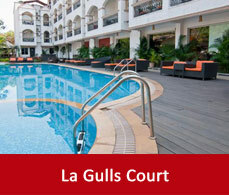 But the hotel or the room rates slash down to a much lower level and you can enjoy discounts during that time. This is the monsoon time and the rains hit the beaches of Goa. The monsoon turns the countryside of Goa in a lush greenery view. At that time you will be able to see many parties across the beaches of Goa.At the end of June Goa celebrates their festival Sao Joao which is the fertility feast of Saint John the Baptist. During this time it is very interesting to observe the rituals of the Goanese where the Goanese boy jumps into a bountiful well to fetch the bottles of local liquor known as feni. These are the best months to visit Goa. The Goa weather is cool and comfortable at that time. It is also the best time to visit Goa for water sports. This is the festival season in Goa with Christmas and New year. Lakhs of tourists visit this time of the year. It is also said that it is the best time to visit Goa for honeymoon. It is the peak period and the room rates go higher so it is advisable to book your rooms much earlier.